Home Jawazat and MOI Visas How to Apply for Transit Visa of Saudi Arabia? How to Apply for Transit Visa of Saudi Arabia? If you have a stay over in Saudi Arabia for more than 12 hours or you want to travel to another country through KSA, you will have to apply for a Saudi transit visa. Many people book a ticket through Saudi Airlines and arrange a 72-hour Saudi transit visa to perform Umrah. On the basis of 72-hour Saudi transit visa, they get out of Jeddah Airport and go to perform Umrah to Makkah. This is one of the reasons it is also called Jeddah transit visa. Jeddah and Makkah are on a distance of 1-hour drive. You can book a hotel there online and perform Umrah. Here is a trick to save SR 55 or $15 on your next Hotel booking through booking.com. In this article, I will be explaining the procedure to apply for Saudi Arabia layover visa. Keep in mind you will have to apply for a Saudi transit visa before traveling from your destination. Do I need a transit visa for Saudi Arabia? It is very important to mention here that you will have to apply for a Saudi transit visa if your stay at the airport is of more than 12 hours. If your stay is more than 12 hours and you don’t have a visa, immigration authorities in your country will not even allow you to board the plane. However, there are some nationalities which can get visa free entry or an on-arrival visa to Saudi Arabia. If you are national of one of those countries, you don't need to arrange a Saudi transit visa. Can I apply for the transit visa of Saudi Arabia? Women cannot apply for a Saudi transit visa alone if someone from their Mahram relatives is not traveling with them. Moreover, transit visas are not issued during Ramadan and Hajj season. Although Saudi transit visa is open to all nationalities, Saudi transit visa from Pakistan is unlikely to be accepted unless you have a good reason to prove that you will not overstay in Saudi Arabia. Similarly, Saudi Arabia transit visa for Iindian citizens is issued after a strict scrutiny. First of all, you will have to submit an application and make payment of Saudi transit visa fee online. The name of the website is Enjaz and Saudi Government has outsourced this activity to them. Just open the website from this link. 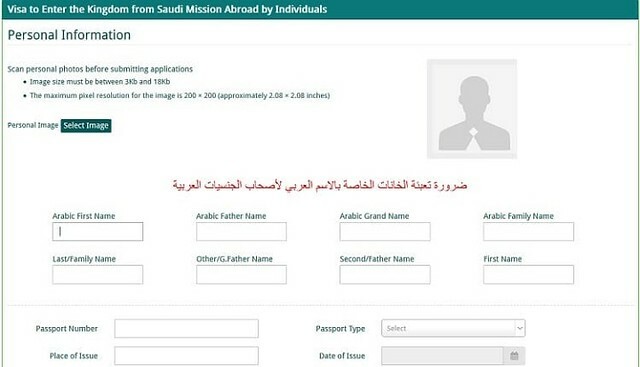 You will have to select “Individuals” > “Visa Services” > “Application for Visa from Saudi Mission Abroad”. It is also shown in the screenshot below. After that, you will have to agree to the terms and conditions on two pages. Just click on the button “Agree” as we always do with the terms and conditions. A new screen will be opened in the screenshot below. You will have to enter all your details in it along with a picture of 200 X 200 size. Select the type of visa as “Transit Visa”. After completing all the information in the application, you just need to click the “Save” button. After this, you just need to make payment for the Saudi transit visa fee. It is pretty simple after that as the window is very user-friendly. You just have to pay $10.5 as Saudi transit visa fees. Take a print of the last page of the visa application form where application number of your visa is mentioned. You need to send all the below mentioned documents to apply for the Saudi transit visa so make sure that you arrange them. We have provided Saudi Arabia transit visa requirements below. Residence permits of the country from where you are applying. It is needed if you are not applying from your national country. In the next step to apply for the Saudi transit visa, you have to mail the documents to the Saudi Embassy in your country. However, I would suggest you not to mail but personally visit the Saudi Embassy in your country and submit your application there so that they can be accountable for it. Generally, it takes a week to process the Saudi transit visa. You will have to submit the documents to the window designated for this. The officer there will ask you the reason to visit Saudi Arabia and you will have to tell him the reason. But don’t say that you want to perform Umrah otherwise your application will be immediately rejected. You will have to submit following documents to the Saudi Embassy in your country. 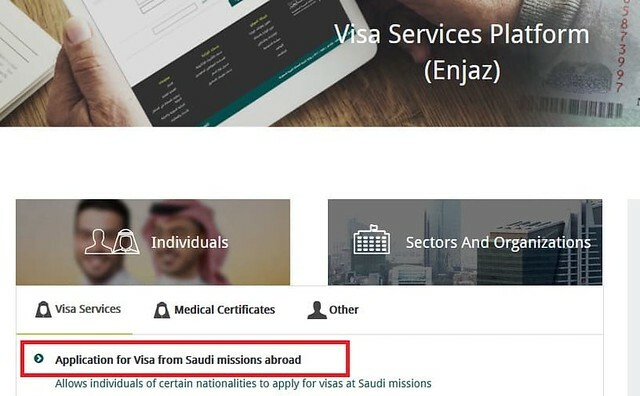 Although they say that it will take 7 days to process the Saudi transit visa but it is better to go after 3,4 days of the deadline to avoid any problem. I hope you will get it very easily. If the visa has been processed, you should take care of some points. Don’t even think to overstay in Saudi Arabia for a single hour. You will have to pay $750 per overstayed day in Saudi Arabia.